Vincent Song's voicebank was a gift she got several years ago. He is a standard CV voicebank encoded in Romaji, while aliased in Kana. Other information about his voicebank is unknown. Vincent was raised in a family of five, his parents, grandmother and twin sister, Elian Song in a big city. Him and his sister were home schooled by their father, and their mother was never really around, she was always at work. 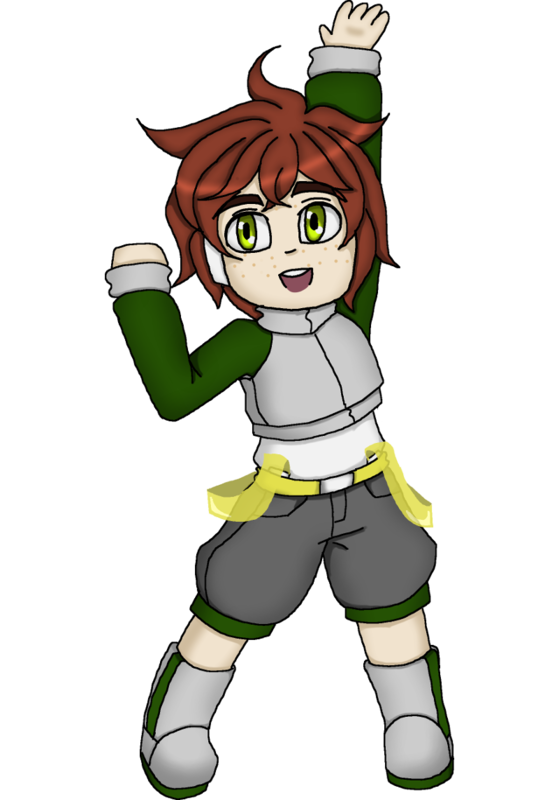 A new kid named Kevin Andrews moved next door to them, and they eventually became friends along with another girl named Star Wilson, then later a boy named Sora Hoshiko joined the odd group. The five would dance around and sing song together frequently, they're all best friends. His sister made him audition for Project ARCELLA with her, and they both were accepted. Vincent was grateful he wasn't given any specific role, but he noticed the tension the roles caused in the group. The group had a hard time working together at first, but they sorted out their issues when Vincent threatened to leave it they didn't "grow up." He and his sister later applied for the Grace Academy of Music and Art; they both got accepted. Likes: Playing card games, magic tricks, singing, dancing, chocolate, being with people, being on stage. Dislikes: Nosy people, rude people, overly sweet things, quiet people, people making things a biggerdeal than what they actually are.